Jerome Seymour Bruner was born on October 1, 1915, to Polish immigrant parents, Herman and Rose (Gluckmann) Bruner. He was born blind and did not achieve sight until after two cataract operations while he was still an infant. He attended public schools, graduating from high school in 1933, and entered Duke University where he majored in psychology, earning the AB degree in 1937. Bruner then pursued graduate study at Harvard University, receiving the MA in 1939 and the Ph.D. in 1941. During World War II, he served under General Eisenhower in the Psychological Warfare Division of Supreme Headquarters Allied Expeditionary Force Europe. After the war he joined the faculty at Harvard University in 1945. When Bruner entered the field of psychology, it was roughly divided between the study of perception and the analysis of learning. The first was mentalistic and subjective, while the second was behavioristic and objective. At Harvard the psychology department was dominated by behaviorists who followed a research program called psychophysics, the view that psychology is the study of the senses and how they react to the world of physical energies or stimuli. Bruner revolted against behaviorism and psychophysics and, together with Leo Postman, set out on a series of experiments that would result in the "New Look," a new theory of perception. The New Look held that perception is not something that occurs immediately, as had been assumed in older theories. Rather, perception is a form of information processing that involves interpretation and selection. It was a view that psychology must concern itself with how people view and interpret the world, as well as how they respond to stimuli. Bruner's interest moved from perception to cognition— how people think. This new direction was stimulated by Bruner's discussions in the early 1950s with Robert Oppenheimer, the nuclear physicist, around whether the idea in the scientist's mind determined the natural phenomenon being observed. A major publication to come out of this period was A Study of Thinking (1956), written with Jacqueline Goodnow and George Austin. It explored how people think about and group things into classes and categories. Bruner found that the choice to group things almost invariably involves notions of procedures and criteria for grouping. It may also involve focusing on a single indicator as a "home base" and grouping things according to the presence of that indicator. Furthermore, people will group things according to their own attention and memory capacity; they will choose positive over negative information; and they will seek repeated confirmation of hypotheses when it is often not needed. A Study of Thinking has been called one of the initiators of the cognitive sciences. Soon Bruner began collaborating with George Miller on how people develop conceptual models and how they code information about those models. In 1960 the two opened the Center for Cognitive Studies at Harvard. Both shared a conviction that psychology should be concerned with the cognitive processes—the distinct human forms of gaining, storing, and working over knowledge. Bruner was drawn toward new developments in philosophy and anthropology: linguistic philosophy for insight into human language capacities and how thoughts are organized into logical syntax and cultural anthropology for insight into how thinking is culturally conditioned. To the center came some of the leading figures in psychology, philosophy, anthropology, and related disciplines who made contributions to the study of cognitive processes. In retrospect, Bruner said of those years that what he and his colleagues most sought was to show "a higher order principle" that human thought included language capacities and cultural conditions and not only a mere response to a stimulus. In spite of his many contributions to academic psychology, Bruner is perhaps best known for his work in education, most of which he undertook during his years with the Center for Cognitive Studies. He held the position that the human species had taken charge of its own evolution by technologically shaping the environment. The passing on of this technology and cultural heritage involved the very survival of the species. Hence, education was of supreme importance. As Bruner admitted, he was not fully appreciative of this importance until he was drawn into the educational debate gripping the United States following the launching of Sputnik, the first satellite, in 1957 by the former Soviet Union. In 1959 Bruner was asked to head a National Academy of Sciences curriculum reform group that met at Woods Hole on Cape Cod. Some 34 prominent scientists, scholars, and educators met to hammer out the outlines of a new science curriculum for America's schools. Although numerous work area reports were issued, to Bruner fell the task of writing a chairman's report. The end result was The Process of Education, which became an immediate best-seller and was eventually translated into 19 languages. Bruner centered on three major considerations: a concept of mind as method applied to tasks—e.g., one does not think about physics, one thinks physics, the influence of Jean Piaget, particularly that the child's understanding of any idea will be contingent upon the level of intellectual operations he has achieved, and the notion of the structure of knowledge—the important thing to learn is how an idea or discipline is put together. Perhaps the element that is most remembered is Bruner's statement that "any subject can be taught effectively in some intellectually honest form to any child at any stage of development." Bruner's educational work led to an appointment on the Education Panel of the President's Science Advisory Committee. He also worked on a new social studies curriculum for Educational Services, Incorporated. Called "Man: A Course of Study," the controversial, federally funded project drew the ire of various conservative and rightwing pressure groups because it did not push values and traditions they felt were important. The controversy led some school districts to drop the program, and federal funds were withdrawn from any additional development. The program was continued in some American school districts, and it was also adopted by many schools in Britain and Australia. In 1972 the Center for Cognitive Studies was closed, and Bruner moved to England upon being appointed Watts Professor of Psychology and Fellow of Wolfson College at Oxford University. His research now came to focus on cognitive development in early infancy. In 1980 he returned to the United States and for a short time served again at Harvard until, in 1981, he was appointed to the position of the George Herbert Mead professorship at the New School for Social Research in New York and director of the New York Institute for the Humanities. Bruner never tried, in his own words, to construct "a 'grand' or overarching system of thought." His main interest was on "psychology of the mind," particularly perception and cognition, as well as education, during a long and productive career. Bruner published a series of lectures in 1990, Acts of Meaning, wherein he refutes the "digital processing" approach to studies of the human mind. He reemphasizes the fundamental cultural and environmental aspects to human cognitive response. In 1986 he had put his own professional slant on varied topics such as literature and anthropology in his book Actual Minds, Possible Worlds. During that same year he participated in a symposium at Yale University on the implications of affirmative action within the context of the university. Bruner also contributed to an educational videocassette, Baby Talk (1986), which provides excellent insight to the processes by which children acquire language skills. The single best source on Bruner's life is his autobiography, In Search of Mind (1983). A good, concise overview of his work up to 1972 may be found by Jeremy Anglin in the introduction to Beyond the Information Given (1973). This volume is a collection of some of Bruner's more important essays, edited and arranged by Anglin. For a collection of essays on some of Bruner's speculative thought, see On Knowing: Essays for the Left Hand (Expanded Edition, 1979). For additional reading on Bruner's educational ideas, see The Relevance of Education (1971). 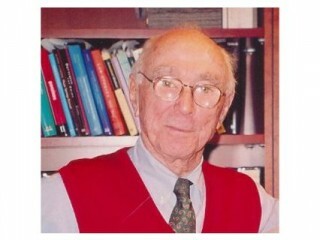 View the full website biography of Jerome Bruner.